Welcome to the last Top 10 Librarians’ Choice reads for 2018! There is some great new books being published this month and next – a little something for everyone. Click on a title below to reserve a copy as your next Summer read. An engrossing mystery set in America’s deep south. It’s about a missing boy, and the two very different mothers who claim that he belongs to them. This is a work of fiction, but it was inspired by the true story of a boy named Bobby Dunbar who went to play in the woods with his brothers and never returned. 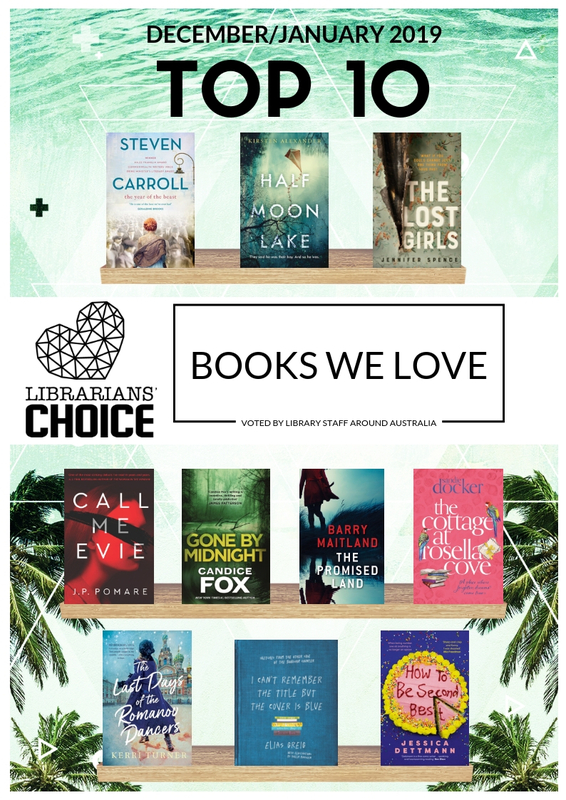 This entry was posted in Australian Authors, Fiction, New Arrivals, Non Fiction, Recommended Reading, Staff Favourites, What staff have been reading and tagged Staff picks by Parra Reader. Bookmark the permalink.